This entry was posted in Blog and tagged 1969, Academy Award, Lee Marvin, Lee Marvin Point Blank, London, M Squad, Malibu, Meyer Mishkin, Paint Your Wagon, Universal Studios by Dwayne Epstein. Bookmark the permalink. 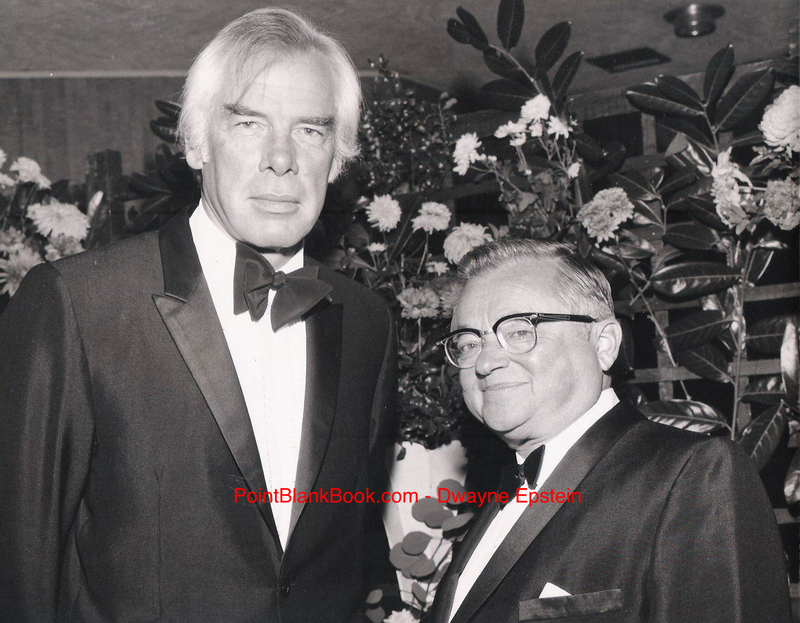 I met Meyer when he was a talent agent at Paramount. He interviewed me and gave me a short script..tole me to learn the lines and come back in 3 days. I did and was offered a contract as a starlet; I was 16 and soon after became engaged to be married and at 18 married my sweetheart and never looked back. This was in the 50’s. What a wonderful story! Thank you for sharing it, Betty. I spent an entire day with Meyer toward the end of his life as he told me fascinating tales about his years with Lee Marvin and other cinematic greats. He was one of my favorite interviews for LEE MARVIN POINT BLANK as he opened up to me like never before! I wanted to let you know that I bought your book on Amazon, mostly to find out about Meyer Mishkin. He was Jack Mishkin, my paternal grandfather’s second cousin. My dad, David Mishkin, never met him, but he had heard some stories about him, and my dad’s cousin, Phil went out to Hollywood where Meyer helped him get his start. Phil ended up writing for several different shows, including “All in the Family.” Anyway, the book just arrived and I can’t wait to start reading it.